Now running latest PHP Version. Slightly Faster. New features for development. “The Event” did not effect production in any major way, but did cause some minor issues that got hotfixed in the beginning of the week until we realized we needed a core rewrite to continue adding new features. The rewrite will also let us Develop in a standard way. The System should be much faster, less possibility of Memory leaks and more secure overall. Tons of Legacy code have been removed that was pending 3 – 4 years to be removed. Cleaned up some styles and issues on the Uploader. Found and fixed a bug causing lag on live with Field Maps. Added Column Count and Max Row Size to Uploaded File Info. Added Column numbers to File Maps. Some changes to text description on Uploader. Custom fields should now properly save. This table stores all the dialer leads associated with a lead when a duplicate if found and loaded instead of created newly. lead_id and dialer_id combos are unique. When a lead is loaded via Manual Outbound, or Inbound, or any other method, when the lookup function of TLDCRM loads, it will check for both a Dialer ID (TLDialer Lead ID) and a Lead ID (TLDialer Vendor Lead Code). Id a Lead ID Exists, it will load that lead precisely. If a Dialer ID is passed along with the Lead ID, it will add the Dialer ID to the new table along with the Lead ID. 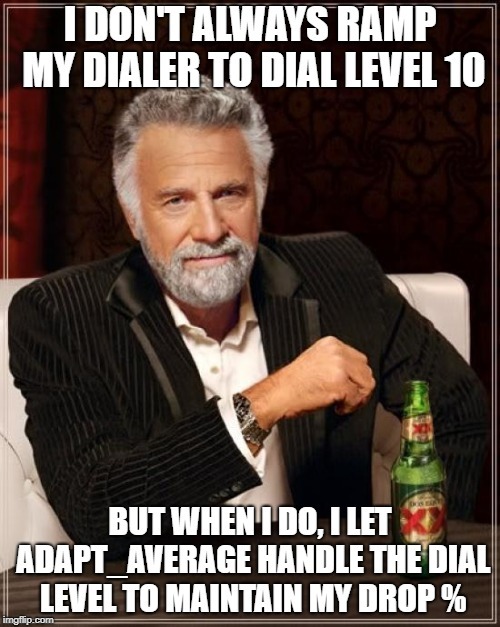 If a new lead is created with a Dialer ID, it will add that to the table as well. 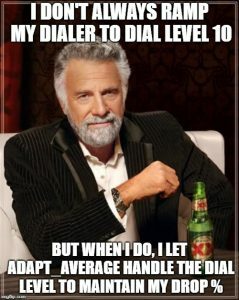 Upon loading a lead that already existed, with a new Dialer ID, the system will set the CURRENT Dialer ID on the TLD Lead, to that Dialer ID, so that TLDialer and TLDCRM are working on the same lead. Updated will be passed to the TLDialer Lead, this includes if information already existed on the TLDCRM Lead. An Action log will be added with the user loading the lead and the updated data. Recordings will be lookup up via the Primary Dialer ID on the Lead, the leads in the lead_dialer_leads table, as well as any dialer_id’s in touchpoints. A Link Icon will show next to the Lead ID, if there are entries in the lead_dialer_leads table. Click it to see the ID’s. We will allow for manual entry of Dialer ID’s onto a lead later to fix some merging issues. A Broken Link will show next to a Lead ID where there are no entreis in the lead_dialer_leads table. This may fix some issues where people get “stuck” unable to leave a lead, as well as making sure the right lead loads when you do a manual dial and click the dial icon. The problem we are possibly seeing is that when manual dialing, a lead with similar properties loads, but is the wrong lead_id / Vendor lead code that what is actually loaded in Vici. This also means you can prevent dupes by searching for and tagging leads with Dialer ID’s in Customer Service Queues, making sure you load the right lead without creating dupes. 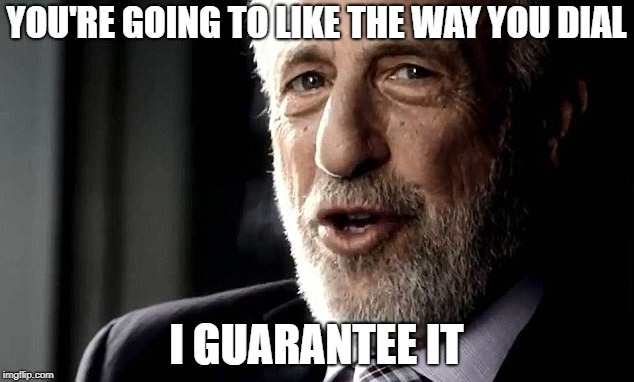 It also means that recordings for the same lead on different phone numbers can show up in the recordings tab. Address3 now works as a Phone Field (as per Vici Spec) and can be dialed as ADDR3. This field now syncs to Vici Database as well. Report Update – Lead Scorecard. Please see the Reports -> Lead Scorecard Report for more information! You can now see call data along with new leads created, spend, qualified costs (based on qualified time) and CPA as well as conversion %. Click the labels tab and drag and drop labels to reorder the report. You can also hide fields and change the names of fields. Fixed an issue with aggregate queries not showing properly. Just got a WHOLE lot smarter. Now, instead of just trying to match the full text of what you have typed in for the filter, we also chunk your filter into pieces by “space” values, and then check for the presence of all combined pieces, regardless of order! Multi-checkboxes now have a ? that will open a window with detailed instructions, and tips and tricks on using them. Fix to TQL when pulling just a single column. Fixed some Group By Filter issues with the way it was displaying. Fixes to Data Validation and Data Cleaning in TQL. Changes Way Query System Works in TQL, more better now. Fixed an issue with TQL Field Mods <><=>= on dates. Fields for TLDialer now have Caching. Added TQL Size Type 0 for Enabled / Boolean Fields. Fix to the way Count Works for Totals. Still a remaining issue for conjoined queries. Fixed some Export issues in TQL. Abstracted TQL JS to it’s own Base. Added “Rows” Param for later use. Change to way we Detect Arguments and Params. More efficient now. Change to way “Enabled” TLDialer Fields look. Added “X” Buttons to pretty much every TQL Field. Makes clearing them out faster. All Number fields now support Ranges and Operator Modifiers similar to Datetimes. Allowed Primary and Unique ID’s to show in Aggregate Queries, when selected in Columns. Cleaned up User Profile Page. Fix to Custom Fields – No Longer Accepts Spaces in Name on Update. Premium is now a Default Field in All Policies. Removed Fronter. Rewrote “Protected Fields” code. There was an issue with this code and the multi-user save feature that went unreported. The issue was, those with protected versions would receive updated information from those with unprotected versions, but it would set to blank on that users next save, which would then overwrite the unprotected users version. Standardized the Method so it can be used repeatedly. Fixed an issue with Copy Pasting with Right Click Paste and losing data. Abstracted Quote Tool into different files. Fix for Locked Fields with no Values specified. Fix for Products where no settings present. Fix to Allow 0 for Duration in Matrix system. Relays section now defaults to active relays only. Vendor section now has a button to open the Vendor’s list in the Leads Section. Fix to Live Agent Report 3 Way Call field. Works now. It is now possible to “Clear Agent Last Call Times” when they go from Pause to Ready, so that campaigns using campaign weights and times don’t give them preference due to them having the longest last call time. Ask us to Set this For you. Issue with pressing 0 on Dialpad should now be correctly fixed. Fix to Live Agents that was causing lag. Fixed Update and Mass Update Ingroups not working for Live Agents. Works now! FIxed an issue with TLD Sync to Vici. Should work now. Removed limit from Lists and DID Multi-checkbox. Uploader now has Tabs for Data Maps and Field Maps to make it easier to Navigate. You will now see a Green Check or Red Exclamation depending if File or Field Maps are OK.
Uploader Vendor, Carrier, Language, Product List now shows a Verbose List to make it easier to find the right Fields. Uploader Product List now only shows you currently Visible System Products. Uploader Map Labels now clearer so you can tell whats needed and whats not. Uploader now has option under Maps, to Copy the Selections from One Map section to another if the reference table is the same. You will get a Notification with what was updated among how many fields. Any Values that Match in the other fields will have their value set to the one you copied. Any Values in other fields that were already set will not be overwritten. This will clear the current Field Map you are on. There is an Undo Button! You can undo the clear if you accidentally clicked it. Uploader “Clear All Field Maps Selections” now supports the same Undo that Uploader Maps Does. Purge All Fields still has no Undo!!! Quick Value Copy to Select Filter for Mapping. You can Click or CTRL Click each space separated word in your Value column when mapping to copy that text into the filter and have it immediately filter. If you Click text, it will overwrite the filter with the current text. If you CTRL Click text, it will append that text to whatever is already in the filter, prepended with a space. There is a Double Curved Arrow now next to each value, clicking or CTRL clicking it does the same as with text, except it copies in the ENTIRE value, not just pieces of it. There is an X in the Filter Selects to clear the text filter now. We now have a working “Help Modal” that will pop up when details could be given to confusing sections, or regarding workflow, etc. We will eventually compile these on a Master Page so you can see them all, as well as have them listed here on our Website for quick reference. Currently we have Started with a Help Section for Multi-Checkboxes, which goes in detail as to how they work and the variations to them throughout the system. Multi-Checkboxes allow you to select one or more value either for data entry or for filtering throughout the system. The way they work is standard throughout the system. Options and variations are explained below. There are two lists and states in each Multi-Checkbox: Checked and Unchecked. When you Check a Checkbox, it automatically gets bolded, pushed and reordered to the top of the Multi-Checbox into the Checked list. This effect persists with page refreshes or saved settings, allowing you to see what has been selected much quicker and easier than sifting through the list. When you Uncheck a Checkbox, the bold effect is removed and it is resorted back into the Unchecked list. Hold CTRL and press Left Click to Select an Item without having it Pop to the Top, this marks your starting point for multiple selection. After Selecting your starting point, hold SHIFT and press Left Click any other item to Check / Uncheck all items in between your previously selected and currently selected item. *Note: If you use this method on a Filtered List, it will only select the items in between the list that are visible, which is very handy! Filtered items will not be checked or unchecked. Press and Hold CTRL + SHIFT and press Left Click to Select / Unselect All Items in a Multi-Checkbox. When a Multi-Checkbox has more than 11 Items, a Filter Box automatically appears to allow you to quickly filter through options using a smart match system based on what you type in. The small inside the Filter Box will clear your current input. Sortable checkboxes allow you to Click and Drag selected items into the order you prefer. The system will preserve this order even on refresh, particularly for filters. This is most commonly used in Group By filters where the order of your selection sometimes matters and may change results or options. Sortable Checkboxes are easy to find by looking for the / icon next to the / checkboxes. At times Multi-Checkboxes will have extra buttons at the top right of the label. Tools are usually placed there to either modify your filter results or to manipulate the checkbox in some way. Often we add a “Check All” button to the Label buttons as an easy way to toggle all fields on or off. These will be removed in the future in favor of the CTR + SHIFT + Left Click Method. Often we add other dynamic settings or commands to Multi-Checkboxes such as what is found in the Product Matrix section. These options usually have tooltips when hovering over them to discover what they are meant to do. Label buttons usually appear in Filter sections. When this button is selected, it tells the filter system to check for values that are NOT in the selected list. This will flag the system to check for the Presence of data for a particular field. A field is known to be present if it is Not Null and not Blank. Note that “0” in a text field is considered as present, but is not present in a number field. This will flag the system to check for Absence of data for a particular field. A field is known to be missing if it is Null or Blank. Note that “0” in a text field is not considered as missing, but is missing in a number field. The Aggregate Button is specific to the Group By Multi-Checkbox, and tells the system that you want to remove all Group By options, including system default ones. This normally flattens your result set to just one row. This allows you to pull dynamic total reports from any TQL (Total Query Language) Enabled System Section. All TLDialer Sections have the Aggregate option for example, and more sections will include this as we migrate all of our systems to using TQL. Fixed issue broken last patch with the filter tabs across the board. Changed Filters Button to be more Apparent, and also mobile friendly. Making use of the exact same space but making things easier to find. Created New TQL Fields Layout for Future use. We now have reusable widgets of equal heights so we can create fields and auto stack them so they are nice and neat. Cleaned up the Date Picker code as well as what else can show when it’s available. Changed Filters Icons to be larger and more apparent, also more mobile friendly. Adjusted select box along with it and also optimized for mobile. Tested on iPhone X.
Multi-checkboxes now have Custom Checkboxes instead of normal browser ones. This should standardize the look of the interface across browsers (although you really should be using Chrome). Filters Popovers where wonky. Moved them to face down and also moved elements around to stop the wonkiness. Found a bug with mobile view where the right hand menu was showing when it shouldn’t (only on mobile view for Desktop, via shrinking screen). Fixed a bug with Multi-selects not re selecting. This will auto Capitalize the First, Middle and Last Names. Added Format Names feature to Dependents and Policy Billing. Added new filters to Recordings Sections. Specifying only Critical tables for Recordings. This will let you see how many leads per campaign are in your hopper. We are working on a solution for “Dialable” leads. DID’s now have a ton of search features. Lead interface got some cleanup with new TQL Field Interface. List Schema got proper tagging for List itself. Added the new Filter Header. Fixed an issue with 0 button not working. 80% done with Address Verification tool. Fixed an issue where when requesting a non column joined tables arguments, it wasn’t joining, now joining properly based on arguments, group by order by and where. Fixed an issue with Schema Caching, now properly clears on it’s own when we patch. Yay. Fixed a problem with service loading. Fixed to Meta Model when an account has no users. Added General Integration Section under Third Party in Options for the API Key used with Service Objects. Fixed some Grouping issues for the combined report. Added toggle to choose between Inbound and Outbound Reporting. Default is mixed. From the ages of old, where we do not trust the agent at all, this turns the phone number field into a PHI field similar to SSN’s. All functionality is the same. It will show the last 4 digits of the phone number when phone is filled out. Mass Update now does the intended Behavior and doesn’t rip out non updated Validation sections. Added Easy Buttons to Click and Open certain filters, in the filters. Save button in Product Matrix now keeps window open. Fixed annoying notification when you havent modified product options and are modifying matrix values. Working, but still unreleased. In testing. Reduced the amount of fields that show. Now should only show the pertinent fields in the column builder. Normal queries should now come in the right order. The Call Log Now Support Aggregation (We even mush the two tables together for you, and even preserve ordering! Use the Column Builder to Choose the Column you want to Group by and the “Total Calls” column as well. Then In Filters, choose the Group By Column you want to group by! If you want a GRAND Total of all the columns, click the “Aggregate” Checkbox at the top right of the “Group By” section, this will flatten the results to 1 row giving you a total count. Multi-checkbox behavior has been slightly modified but basically does the same thing. Multi-checkboxes now has sortable support for things like Group by. This can be seen in the Call Log section since grouping order sometimes does matter. You should now be able to tell when a client has hung up. This plays nicely with Transfers as well. If an agent hangs up the transfer, the person transferred in will be considered a Dead Call and should hang up and then dispo. If the client hangs up during a transfer, only the person who took the call will see it dead as they are still connected to the transferred person. The Icon for the Transfer Menu will now update with how many people you are in a conference with! Wild! More to come with this! Should make it easier to check out what is configured. Removed 2 Queries from the TLDialer Processor, now should be a little faster. Also added a couple joins related to Transfers, which made slightly slower. All in all, no performance difference. TLD itself now has the ability to push data to the sockets system to update leads and policies, and notify the user that this has occured, aside from another user. The long awaited Feature is almost here! You can now merge two or more leads together. The interface is pretty straight forward! This is currently in testing. It works! But we want to be sure it is a smooth process. Choose Lead you want to merge INTO. Select Fields you want to Keep / Protect from that lead. For each Lead being Merged In, select the fields you want to merge in, (There is a check all button). Drag and Drop the Leads in the order you want them to merge from first to last. Example, if You are merging 2 (3 Selected) leads into lead 1, and lead 1 has no first name, but Lead 2 and Lead 3 have two different first names, it will accept Lead 2’s First Name, then afterwards overwrite that with Lead 3’s First Name. Fixed Dependent, Policy and Note Grab Tabs. They should all work now. Some minor CSS and JS issues prevented them from all working consistently. When a contact is in “Merged” status, the lead can no longer be modified or saved. Fixed a CSS Issue with Subsidized Premiums on Smaller Screens. Added Pending: Documentation. It can be disabled. Date Quarters logic fixed up. Fixed an issue with Indexes related to Touchpoint Queries. More system optimizations, less memory usage, less time processing. Refactored Menu and Filter Open / Close code. Makes more sense now. If you are using the Webphone, TLDialer will now use TLDSIP’s DTMF Tones instead of Vici tones, as Vici tones are slow and unreliable. The Dialpad works the exact same way. The Dialpad should be near instant now as you press buttons. The Dialpad no longer hides when pressing buttons. Made a fix for callbacks not setting the proper callback status even though the callback went in. An Audible pop noise will be played when a call disconnects. If a call is rejected or fails, a busy noise will be played. You can now hear DTMF Tones when you press them. They are synced to the same speed the phone sends them. DTMF Tones now send via RTP. Upgraded to latest SIP Version. There was a problem with the TQL Caching function, it has been corrected.